Yonkers police released this image of Mel Harris, 15, who went missing Saturday afternoon. 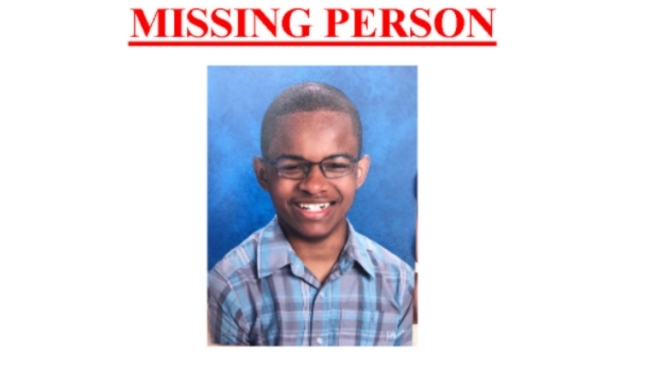 A 15-year-old boy with autism from Yonkers was reported missing Saturday afternoon before being found late in the evening in New York City. Mel Harris was last seen at about 1 p.m. on a bicycle trail off Sawmill River Road in Yonkers, police said. Late Saturday, just before midnight, New York City authorities tweeted that a missing child alert had been cancelled, amid reports he had been found safe in Manhattan. Yonkers authorities confirmed Harris had been found safely and reunited with his family, and said they were investigating how he had gotten to the city.